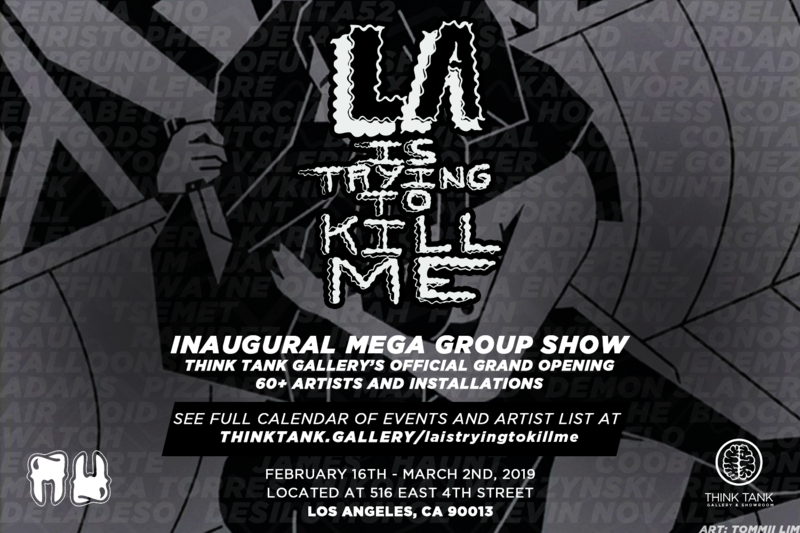 Curated by Abars, LA is Trying to Kill Me is a giant group show to celebrate the grand opening of Think Tank Gallery & Showroom, a new experimental arts space in Little Tokyo, DTLA. The exhibit features a slew of immersive environments – a recognizable staple in the portfolio of shows that the Think Tank has featured over the years – depicting different views of LA’s constant onslaught on the artistic psyche. Hospital and police station installations tie directly into the show’s visual threats on its audience, featuring various performance artworks and ubiquitous selfie opportunities complete with costumes, though admittedly much harsher in style and message than LA’s recent slew of selfie-station-pop-ups. 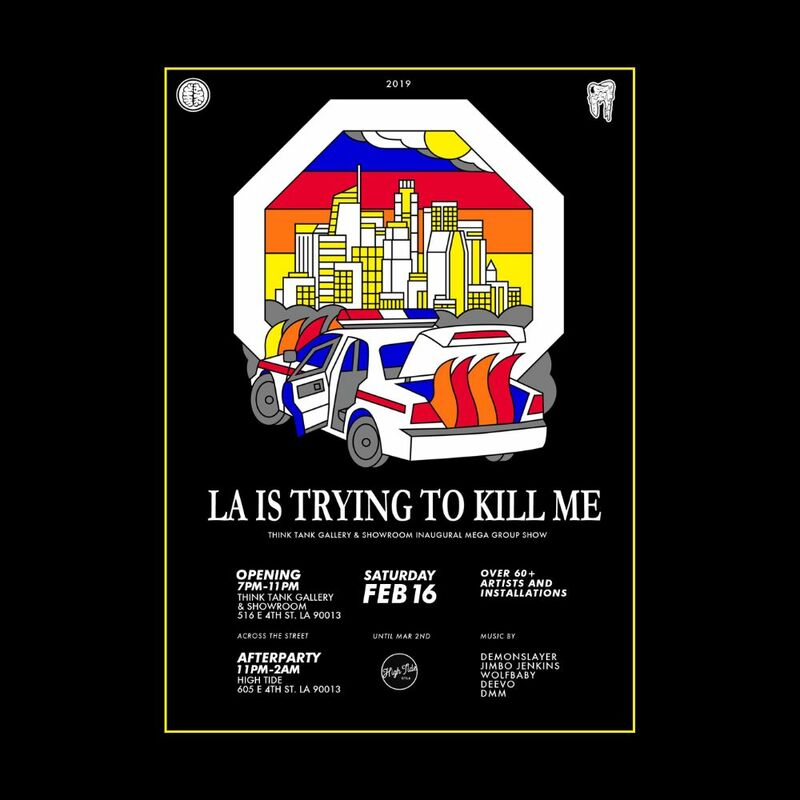 Streetwear brand Pizzaboyzzz will preview a portion of their upcoming immersive show in the same location: a rundown pizza shop built from pieces of a family member’s restaurant in LA. A balloon graveyard by Balloonski at the end of the gallery creates a loud and vibrant meditation on every Angeleno’s end of days, as guests traverse a 60+ artist tour of the many SoCal circles of Hell, including artists like Deladeso, Ara Cho, Sarah Elise Abramson, Tommii Lim, Demon Slayer, and Francesca Quintano. CLICK HERE TO RSVP TO OPENING NIGHT.